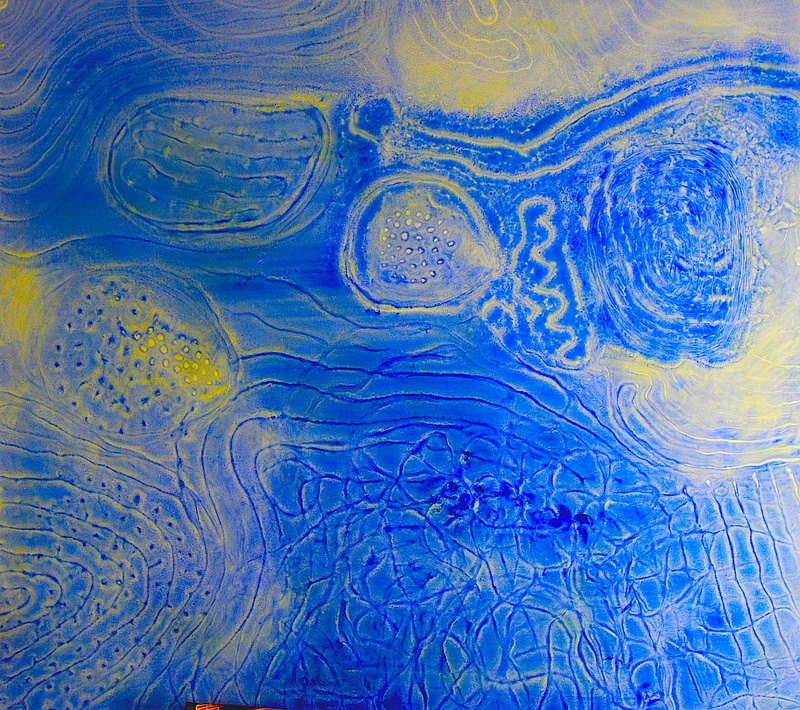 This painting alludes to the world of the microscopic. It relates to mitochondria, the Golgi apparatus etc. At the same time, it mirrors the flow of water and liquid dynamics. So, different levels of the visual nature of biological science are touched upon.